I love decorating every room of my house for Christmas. The bathroom even gets a few holiday things added to it. 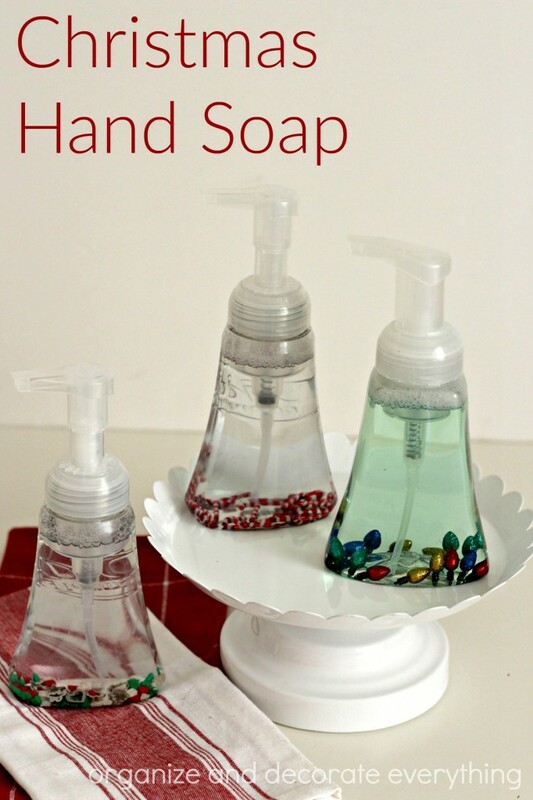 This Christmas Hand Soap idea is a quick and simple idea that the kids are going to love. 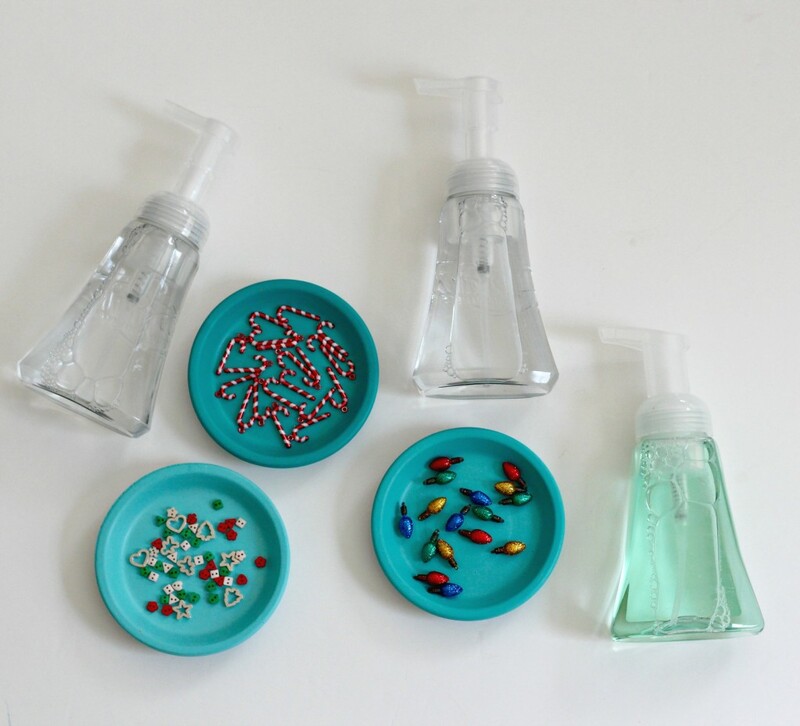 What better way to get them to wash their hands this Winter than by adding fun trinkets to the soap. 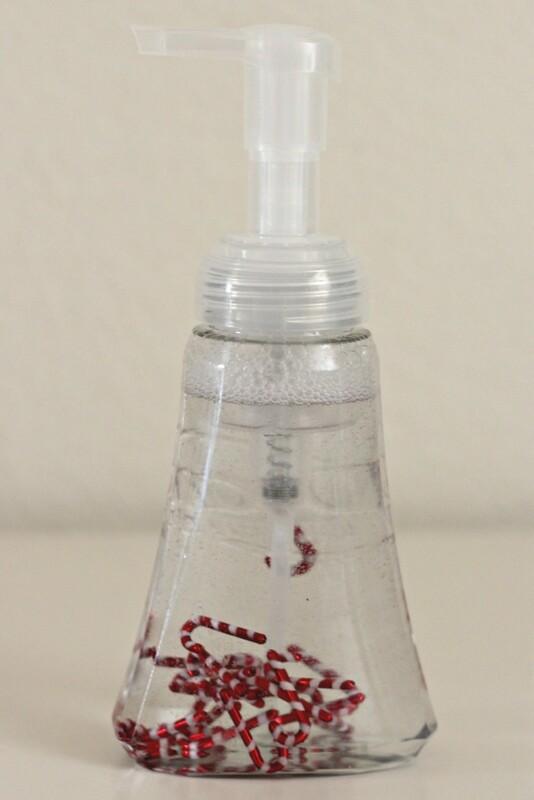 Start by removing the labels then removing the residue with rubbing alcohol on a cloth. You might have to scrub a little. I picked bottles that only had a label on one side to make it easier on myself. 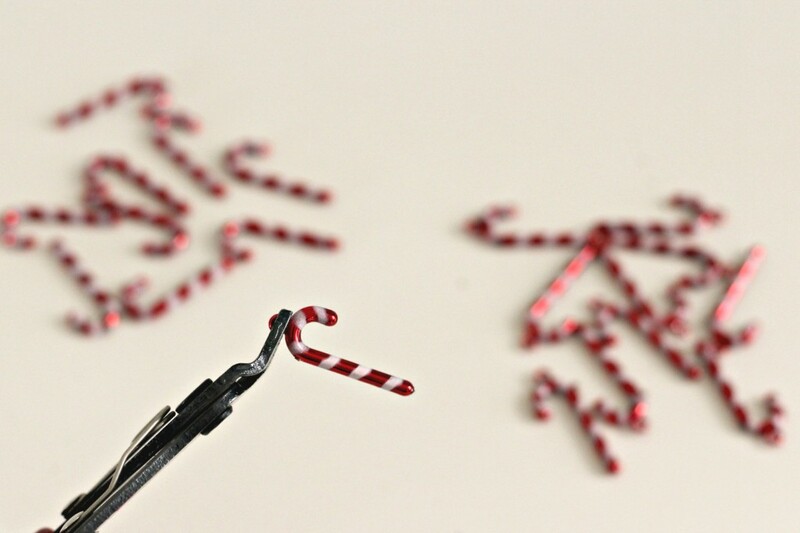 I used wire cutters to remove the hook from the candy canes. It wasn’t really necessary but I like the way they look without the hook. 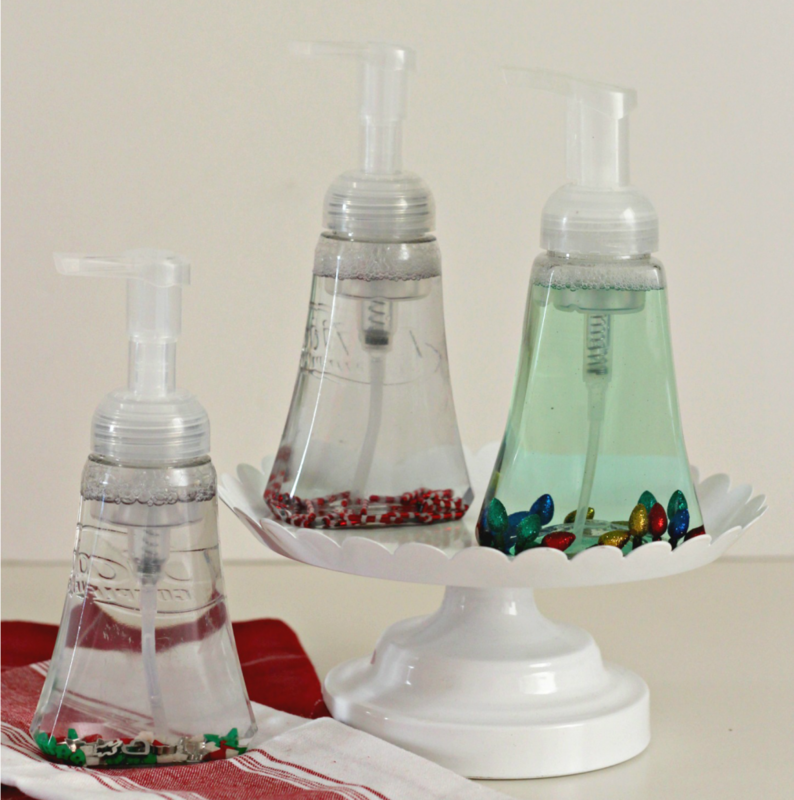 Remove the lid and add the candy canes or other trinkets to the soap. That’s how easy it is. My soap is pretty thin so the trinkets moved through the soap fast. Thicker soap would make them float around more. 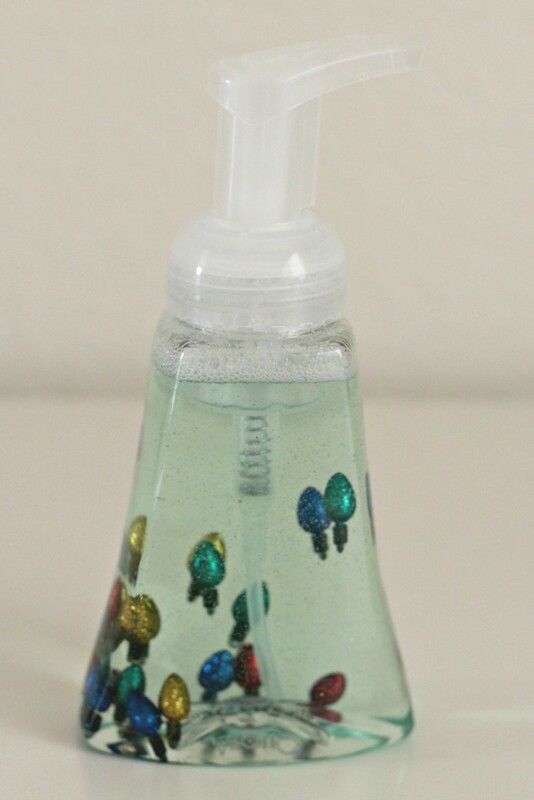 Just make sure the soap is clear so you can see the fun trinkets. 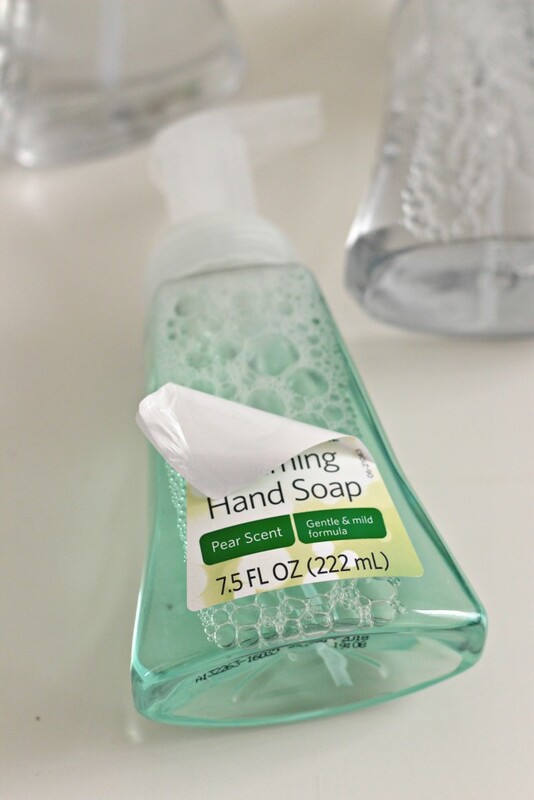 You could also try making your own hand soap. I think the next time I will try to use lighter trinkets. I wonder how holiday foamie shapes would look. The Christmas bulbs floated the best. 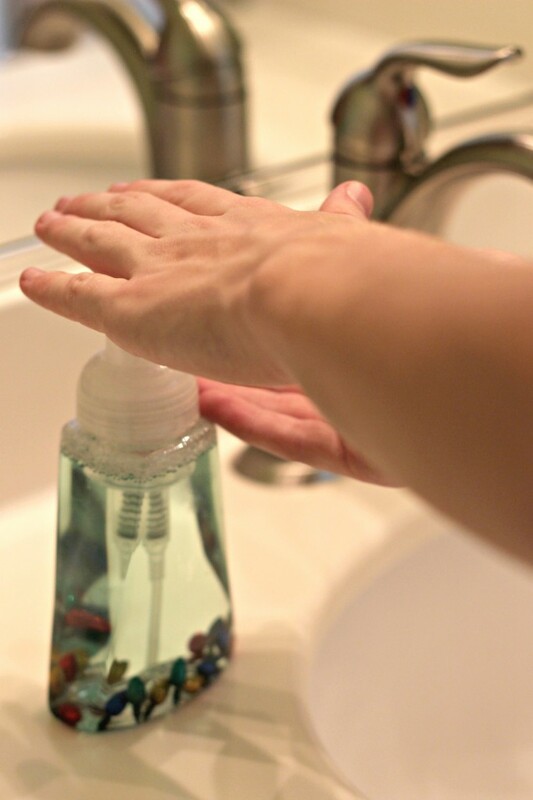 Place one bottle of soap in each bathroom and in the kitchen to add to the holiday decorations and to encourage your kids hand washing. They would also be a fun neighbor gift. The kids will probably play with it and shake it to mix the trinkets around, which is totally fine as long as they wash their hands after. 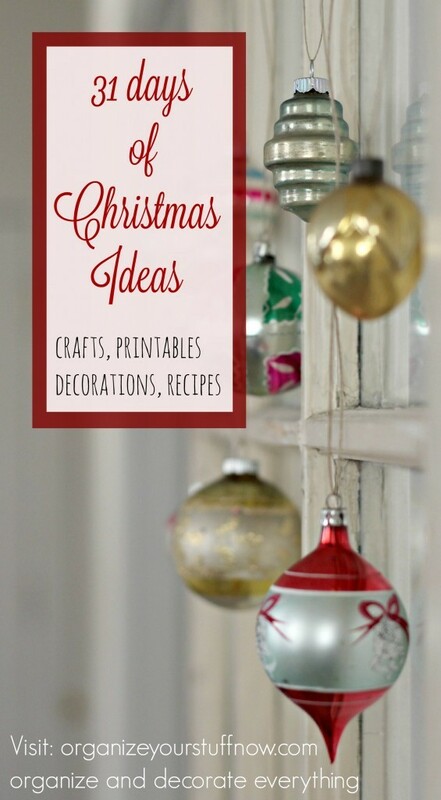 Experiment with adding different Christmas trinkets to make them your own. What will you add to your soap for the holidays? Come back tomorrow for the next 31 Days of Christmas Ideas post. Those are so cute! 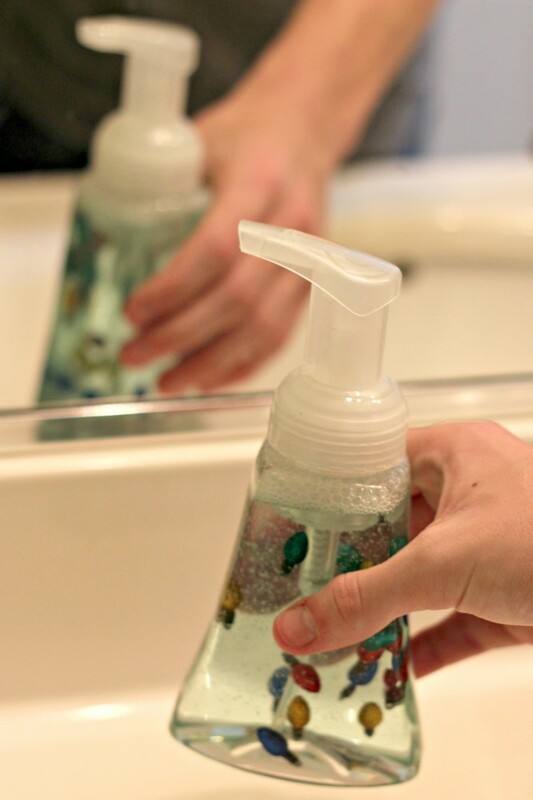 I think I will use this idea with my Molton Brown Hand Soaps from b-glowing!